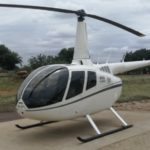 Hoversales, hover.co.za and Saphire Blue have been involved in buying, selling and refurbishing Robinson helicopters for over 10 years. 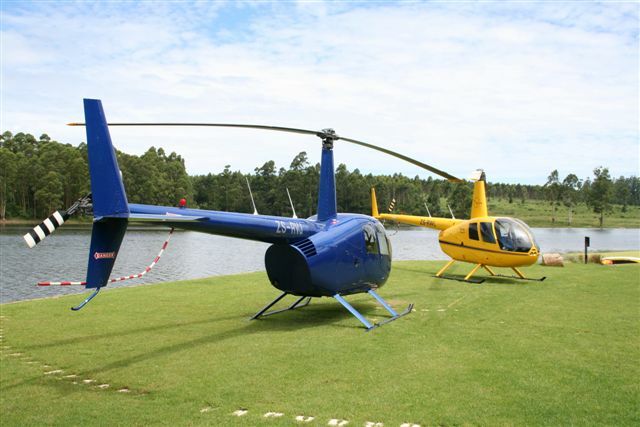 We specialise in selecting that Robinson helicopter that is suited to your specific needs. Be it a brand new private use machine or a freshly overhauled machine with zero time components ready to work in your game capture operation. Please contact us to discuss your specific requirements. Many dealers and brokers fail to point out the strategic values in the different aircraft options. We can supply you with factory new aircraft as well as a wide range of preowned models. The new fuel-injected engine provides higher power for better performance and eliminates the need for carburetor heat. The engine is derated to 245 HP for 5 minutes and 205 HP maximum continuous rating, to assure a longer life and lower cost of maintenance. 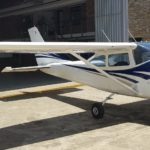 Overall, the Raven II provides a favourable 100 lb increase in the R44’s gross weight and increased IGE and OGE hover ceilings, while eliminating the carburetor and carburetor icing problems. Another major enhancement is the reduced noise level of the Robinson R44 Raven II. The quieter helicopter features redesigned main and tail rotor blades. Both sets of rotors are fitted with noise attenuating blade tip caps that decrease flyover noise by 1dB. The main rotor blades also have more surface area for increased lifting capability at altitude. 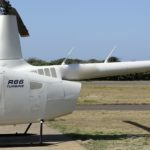 The Robinson R44 helicopter is reliable, comfortable and efficient. The Robinson R44 is the larger and more powerful version of the civilian helicopter two-seater Robinson R22. 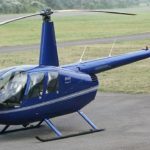 Marketed since 1992 by the American company Robinson Helicopters, Robinson R44 has quickly established itself in the market as 4-seater aircraft and is the best selling item in its class. Like the R22 , the Robinson R44 is equipped with a Lycoming piston engine with the Version 6 cylinder engine with 245 horsepower. With a 200 km / h cruising speed and a range of 3:30h, the Robinson R44 helicopter is ideal for sightseeing flights, shooting or introductory flights. Acoustic comfortability, reliability and performance are the main features of the Robinson R44. Other versions available are the Robinson R44 Clipper Police version or a particular version built especially for filming. In 2006, the Robinson R44 Raven II was born. A faster model, which achieves higher altitudes and supports larger loads. 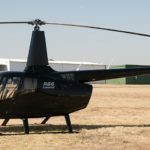 The Robinson R44 Raven II combines the advantageous cost of a piston helicopter with performance equal to a turbine helicopter. Hover offers introductory flights and development in the Robinson R44 helicopter . For pilots who already have their license, hover.co.za also prepare pilots to obtain type Robinson R44 Qualification. A sharp and technical training that enables you understand the particulars of the Robinson R44.